As with the rest of my skincare routine, every 4 months or so I like to switch up my face masks depending on what my skin needs at the time. As we approach autumn, I’ve found that my skin requires a lot more moisture and hydration than normal. I generally use the above three masks in rotation up to three times a week, with each mask performing a different task. Let’s get into the details of each one, yes? 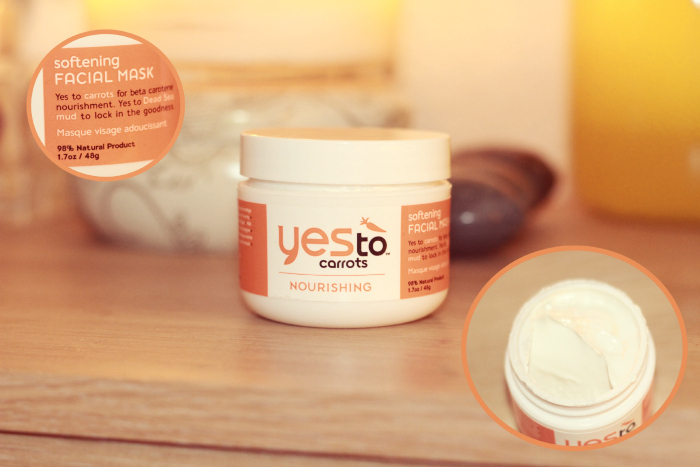 This 48g tub of 98% natural goodness from US brand ‘Yes To…’ is full of ingredients such as, obviously, carrots, avocados, sweet almond oil, jojoba oil and dead sea mud which helps to purify and revitalize the skin. It also firms and tightens the skin to leave a luminous and even complexion. Another one of the main ingredients is beta-carotene (the nutrient which gives carrots its’ orange colour) which is an antioxidant which protects the skin from free-radicals and all that jazz. The award winning organic brand is SLS, Paraben and cruelty-free and they also have other products within their collection such as “Yes to cucumbers/tomatoes/blueberry etc! The mask is exceptionally rich and is prone to hardening quickly so it’s not something that needs to be on for that long in order to achieve it’s desired effect. I tend to use it in the morning before work if I’ve had quite a rough night and it does seem to perk up my skin and make it a lot more dewy. The mask is good for normal to dry skin, however I would recommend it more for dry skin as the formula is exceptionally thick. Want to try? You can buy the mask from the Birchbox Store (you don’t need to be a subscriber to buy from the store). 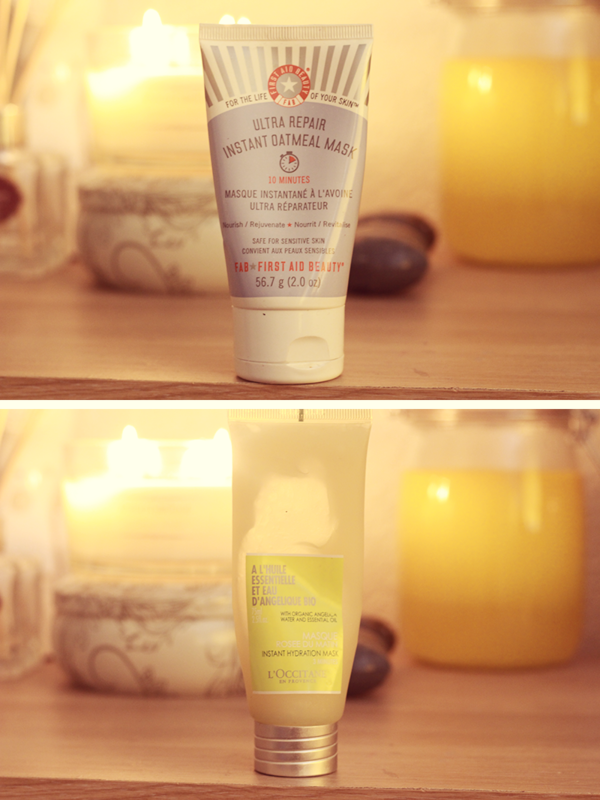 First Aid Beauty is another US brand and what attracted me to this mask was that it contained oatmeal; which is a good friend to my skin. Free from parabens, colours and harsh chemicals, the mask is safe for sensitive skin and includes shea butter, apricots and ginger and colloidal and avena sativa oat bran (…me neither) which is supposed to help calm down inflammed and irritable/stressed skin. I used this a couple of weeks ago after a couple of weeks of stressful times at work and it helped keep the stress blemishes at bay so it’s something I would recommend if you suffer from dehydrated and/or irritable skin. Purchase from BeautyBay. This gel mask is basically a quick-fix mask if you suffer from random bursts of dryness and need a quick pick-me up. I don’t use this gel as often as the other two (mainly because it’s more expensive and I need to make this stuff last) and because it’s so intensive, it’s best to use sparsely. You only need to use the mask for three minutes as it’s ultra intensive and extremely effective if you’re in a rush. It has a lovely cucumber fresh scent and is suitable for all skin tones.Definitely worth the money! Purchase on the L’Occitane website. 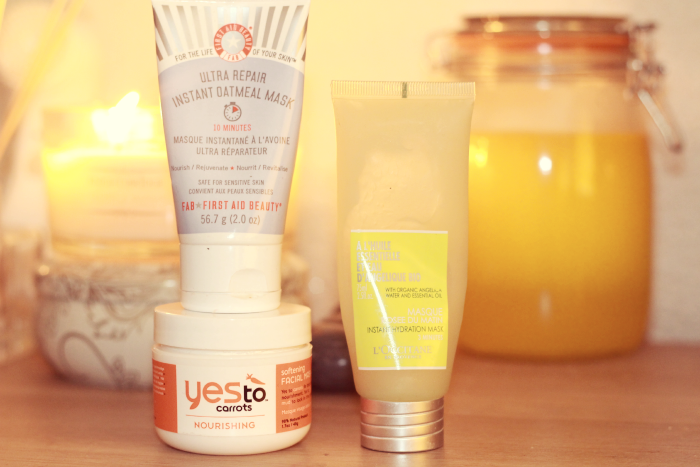 What are your favourite masks to use for Autumn/Winter? Previous Post Blue: The Ginger Ninja. Next Post The Roundtable | Dark is Beautiful…And So Is Light.